An advanced threat research lab locates vulnerabilities in emerging technologies. Commercial real estate markets nationwide and in Oregon will bottom out this year, and not see a meaningful recovery until 2010, according to a joint report by PricewaterhouseCoopers and the Urban Land Institute. Amy will practice in the firm's Business, Real Estate, and Tax practice groups. 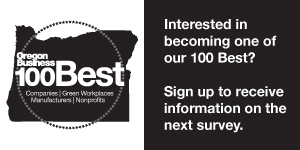 Energy Trust of Oregon, Inc., a nonprofit organization, requests written proposals for a management review to be completed by August 15, 2014. An Intent to Respond is required to submit an RFP and to participate in the conference call to address RFP questions. The Intent to Respond is due at Energy Trust no later than 3 p.m. February 21, 2014. Western Communications, which owns The Bend Bulletin and other properties, has filed for reorganization under Chapter 11 in a dispute with its biggest lender.